An update to Vol. 2, pp. 589–591. A new series of excavations was conducted jointly by O. Bar-Yosef, L. Meignen, and B. Vandermeersch at Hayonim Cave from 1992 to 2000. 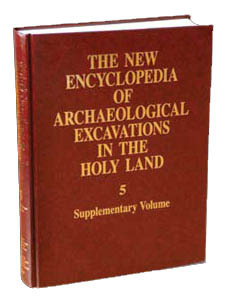 The primary goal of the project was to uncover, study, and date the full Mousterian sequence, which, as discovered in the last season, lies above an Acheulo-Yabrudian layer of unknown depth. Only a few additional squares of the Natufian deposits were excavated during these years. Previous observations during the late 1970s suggested that the upper part of layer E contained an industry resembling the one from Qafzeh Cave (which was dated to c. 90,000 years ago). The material and lithics retrieved then in a deep sounding next to the western wall contained numerous elongated blanks similar to those of the Tabun D assemblage. The areas excavated in 1992–2000 were the deep sounding, an area near the cave entrance, and the central area inside the main chamber. The excavations yielded well-preserved faunal remains and rich assemblages of stone tools. The systematic mineralogical mapping of the deposits at intervals of 5–10 cm demonstrates the uneven effects of diagenesis, mainly in a patch running diagonally across the central area. Along this patch, diagenesis affected the preservation of bones, but not the distribution of lithics. The well-defined hearth areas resemble those identified in Kebara Cave and micromorphological and geochemical analyses have shown that the majority of the sediments are anthropogenic in origin.